After weeks of speculation and feverish online chatter, ace Nigerian producer, Larry Gaaga, has dropped his highly anticipated single, ‘Babanla Nonsense’. 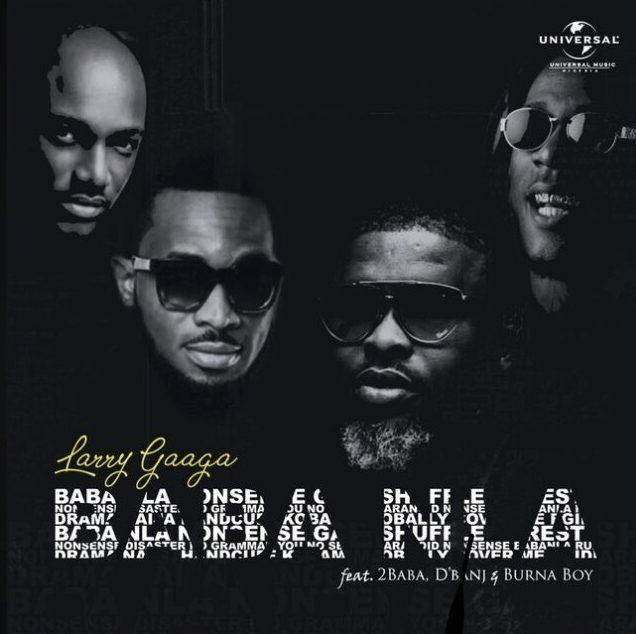 Literally translated as the “biggest of all nonsense”, Babanla Nonsense features industry heavyweights, Innocent ‘2baba’ Idibia, D’Banj and Burna Boy. Featuring D’Banj’s legendary harmonica, 2baba’s chant and Burna Boy’s signature reggae inspired rumble, ‘Babanla Nonsense is a mid-tempo, afrobeat inspired vibe that simultaneously tackles societal ills as it also beckons on all to forget their troubles and dance. Much of the conversation driving the song has come from the trending hashtag #Babanlanonsense which has been adopted by Nigerians as they vent on various prevalent socio-economic ills of the present day.